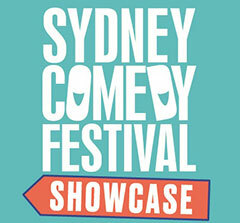 The Sydney Comedy Festival Showcase Tour will be tearing up the freeways of Australia for the seventh year in a row to bring the crème de la crème of the 2019 Festival to Bathurst! Expertly curated and lovingly presented, the Showcase will feature some of the Festival’s hottest acts live on stage for an incredible two hours of hard-hitting laughter. Boasting a line up of veteran favourites, international stars, and some of the freshest emerging talents, this jam-packed night of pure entertainment will leave you sore from belly laughs! So call your pals and grab your tickets to the funniest night of entertainment you will see all year – don’t miss out on a huge night of laughs!